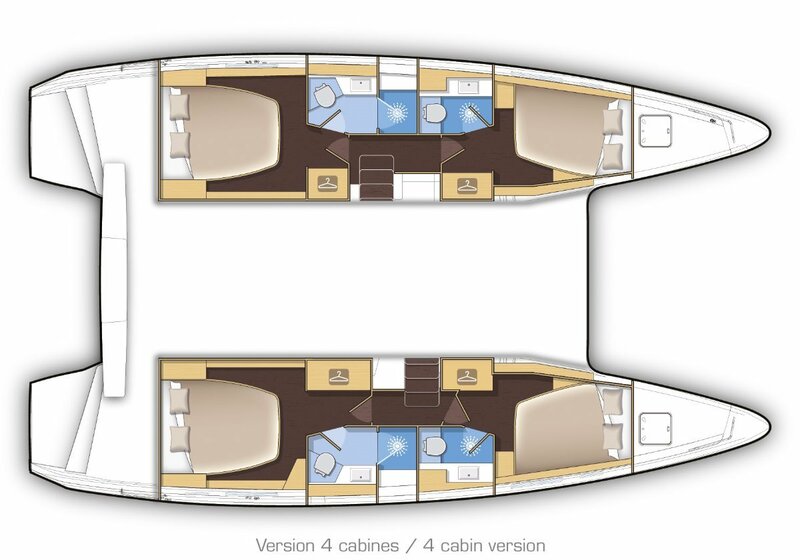 Defined by sleek curves and a ground breaking single level cockpit... 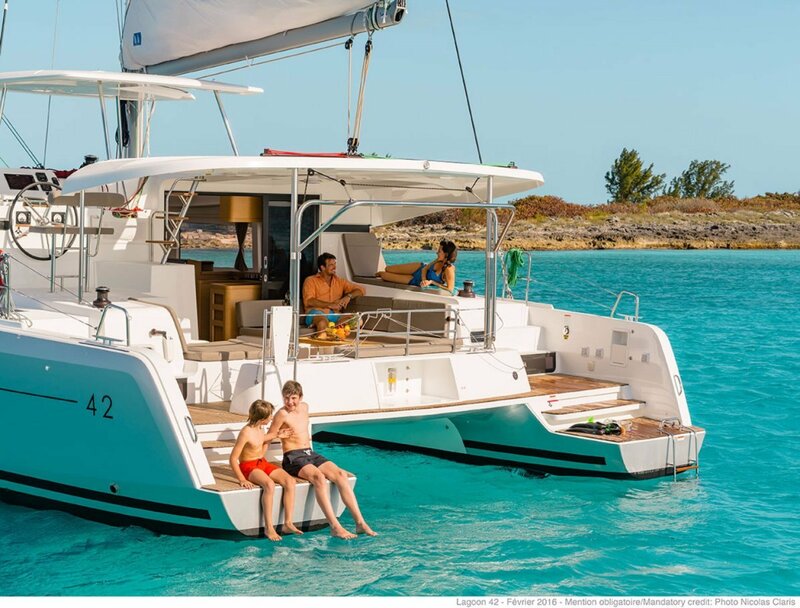 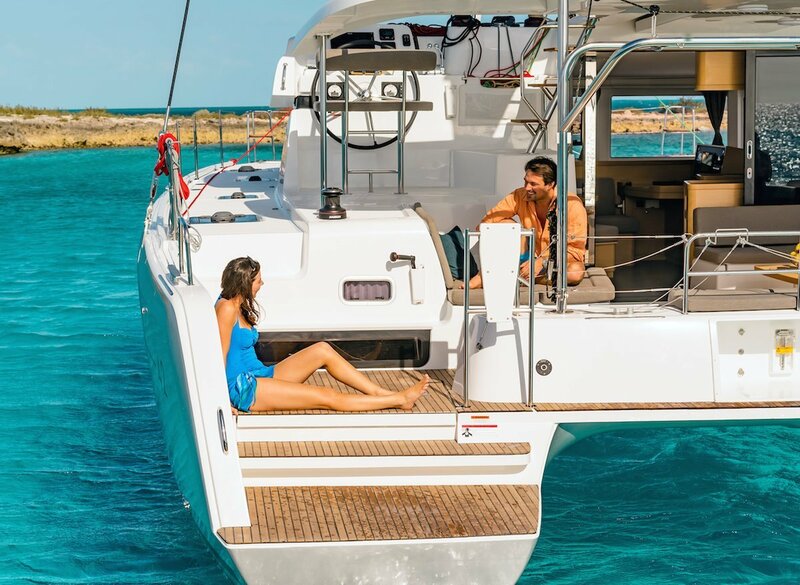 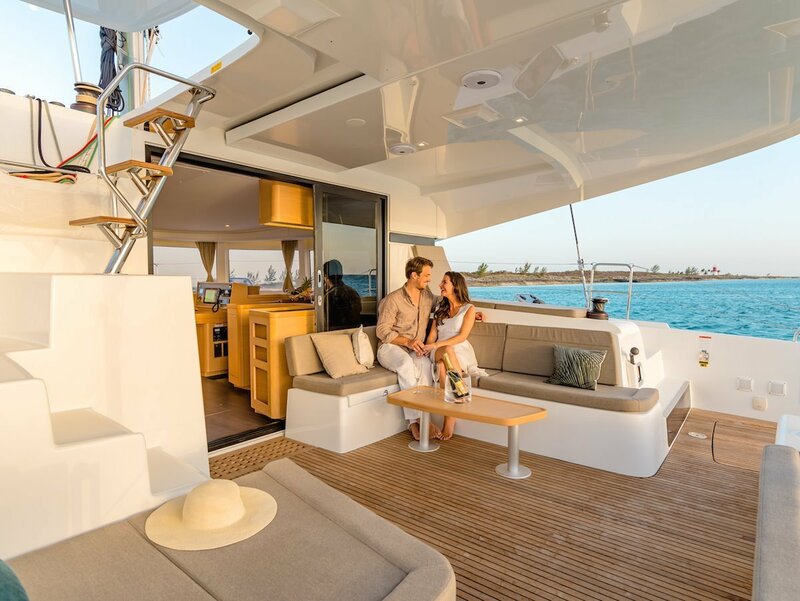 This boat offers limitless possibilities for an enviable on water lifestyle. 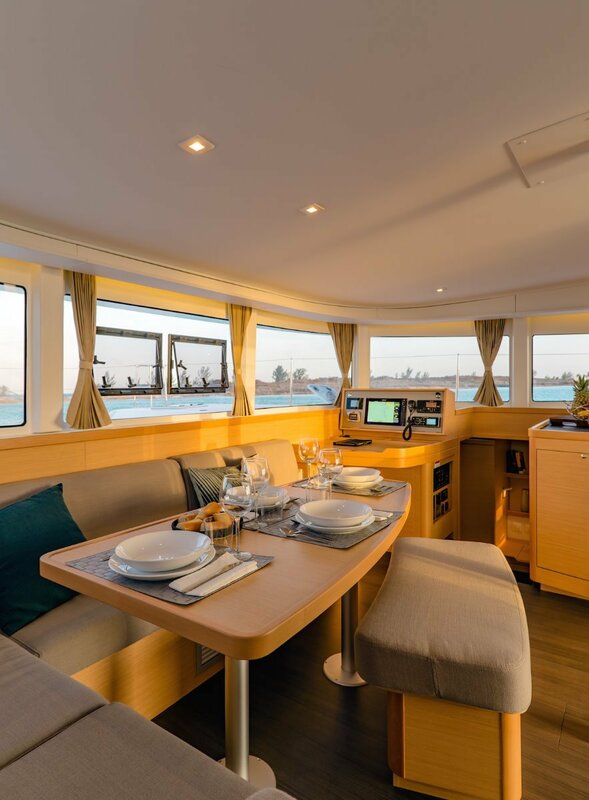 * single level from the aft platform to the saloon: a structural "revolution"
* suspended steps at the transom provide a whole new perception of the boat: a continuous, wide and inviting platform, worthy of a large vessel. 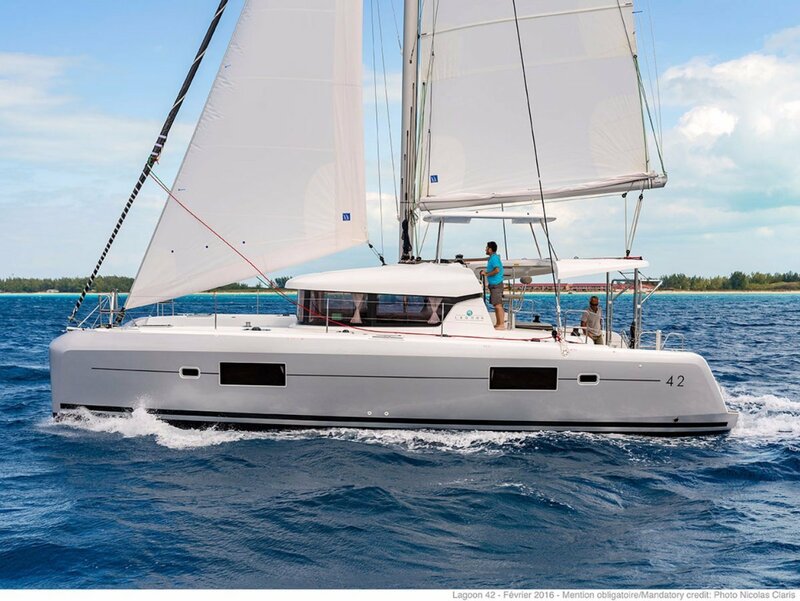 Master designers VPLP have moved the mast further aft guaranteeing performance under sail. 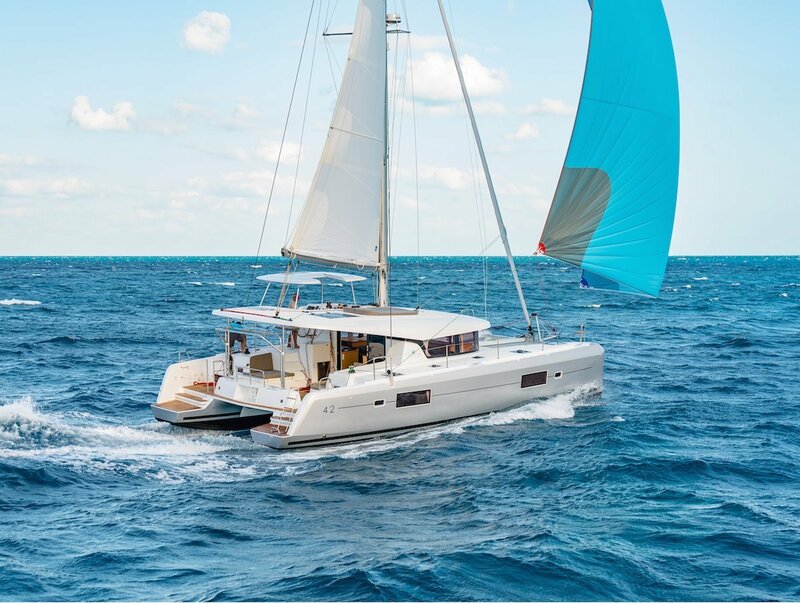 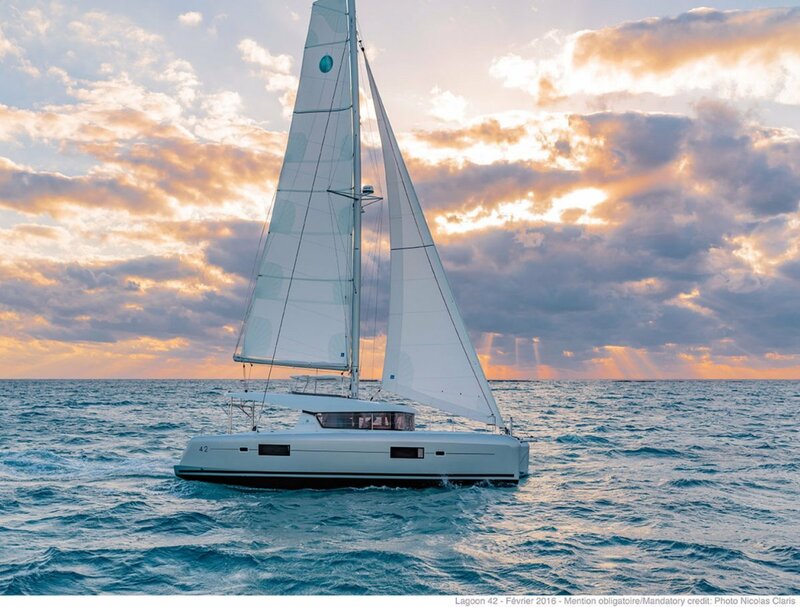 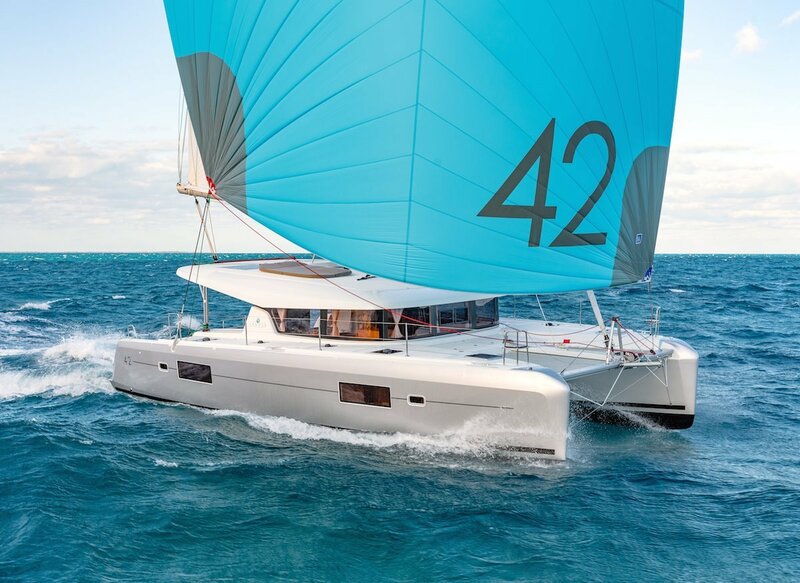 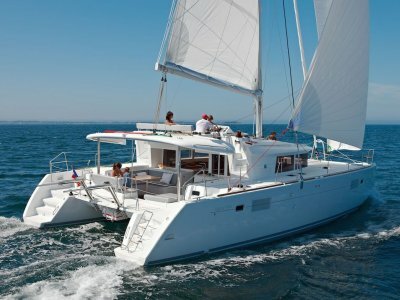 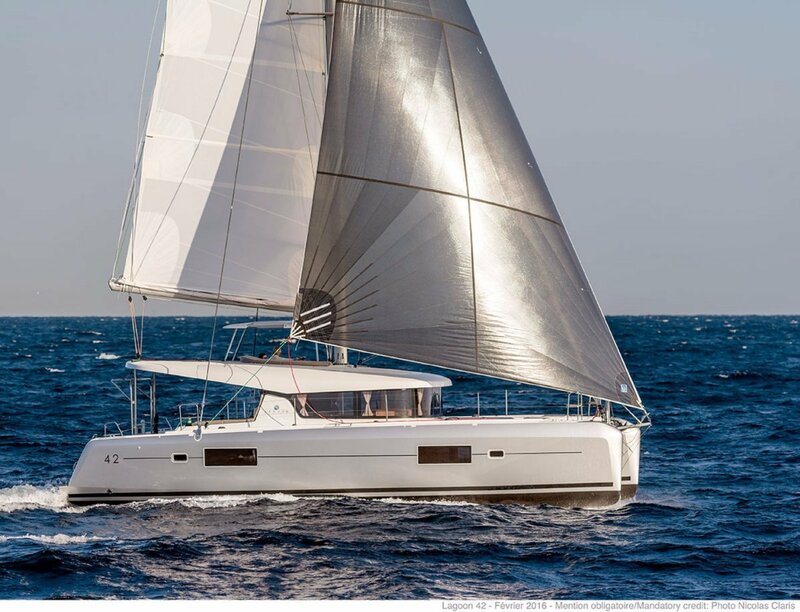 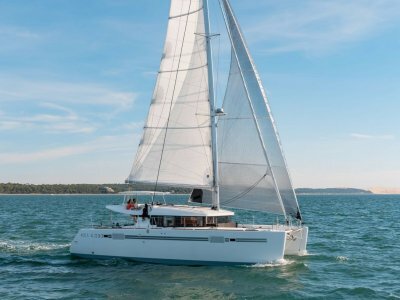 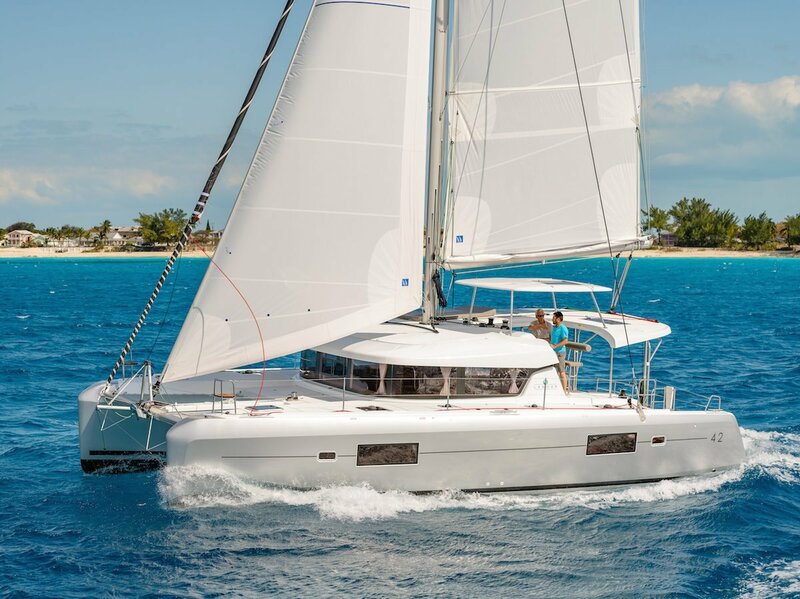 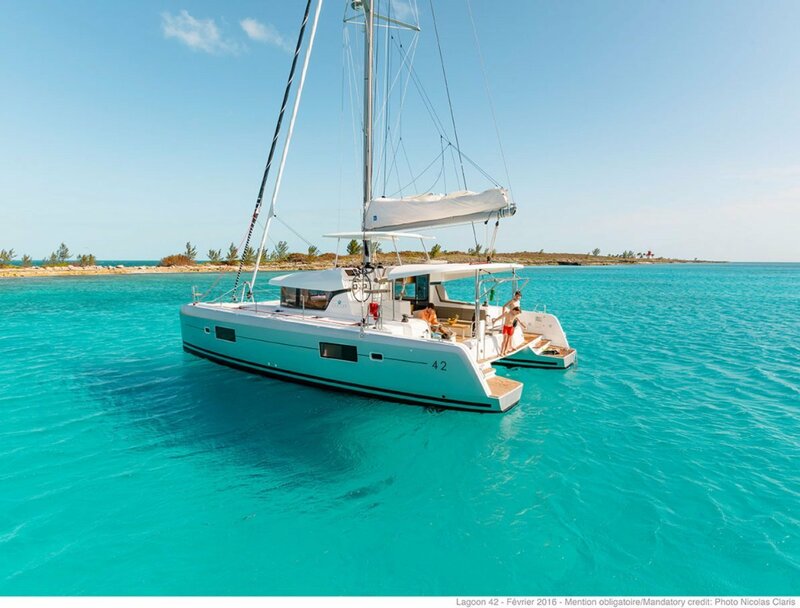 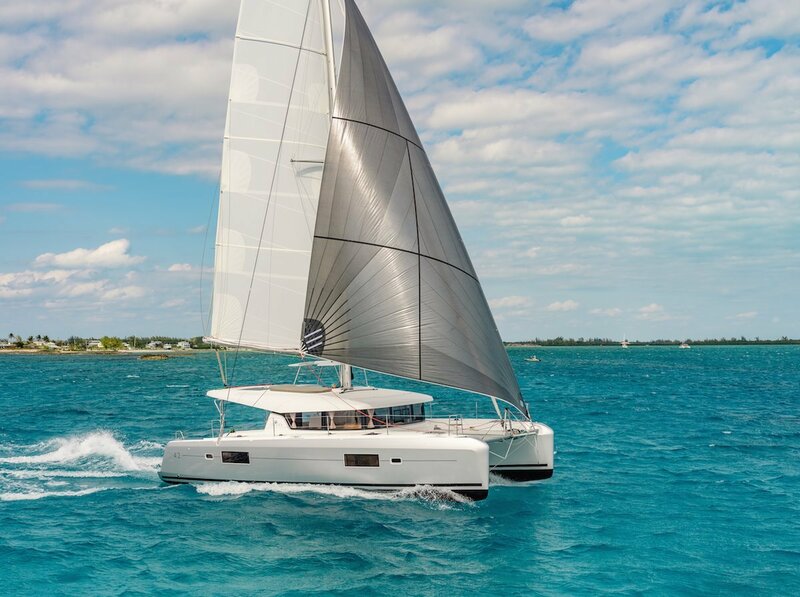 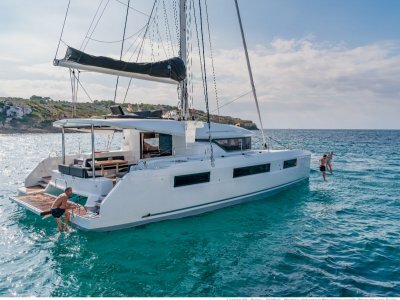 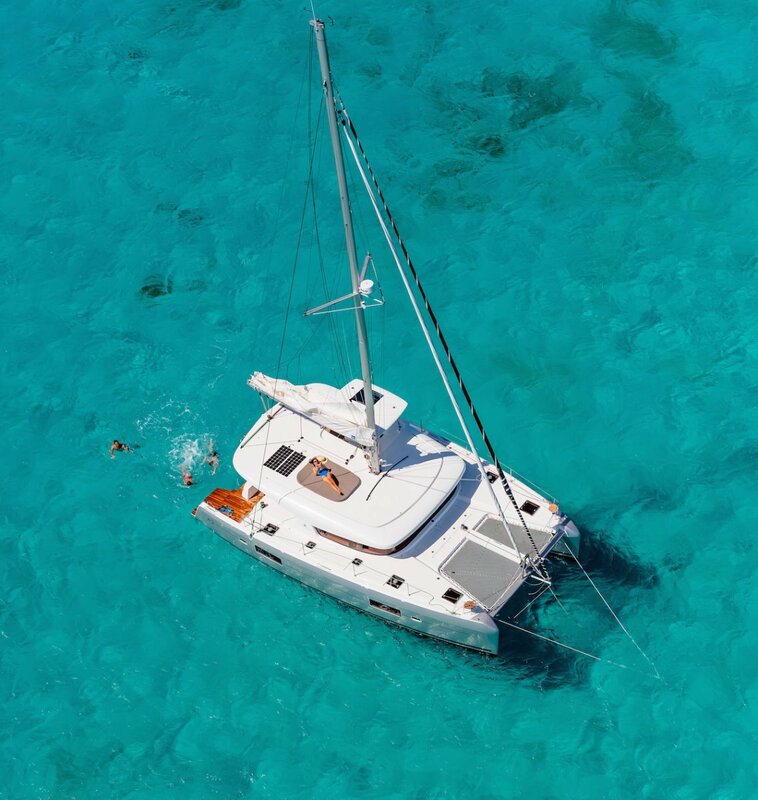 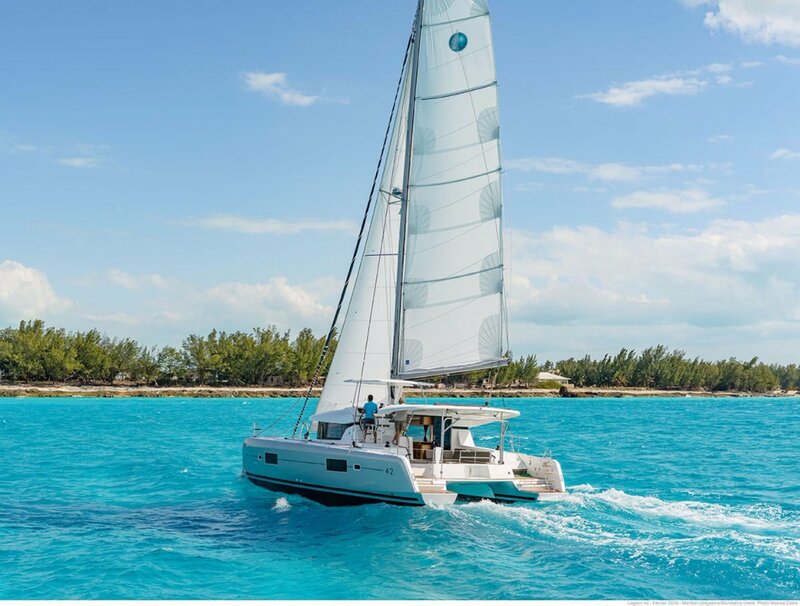 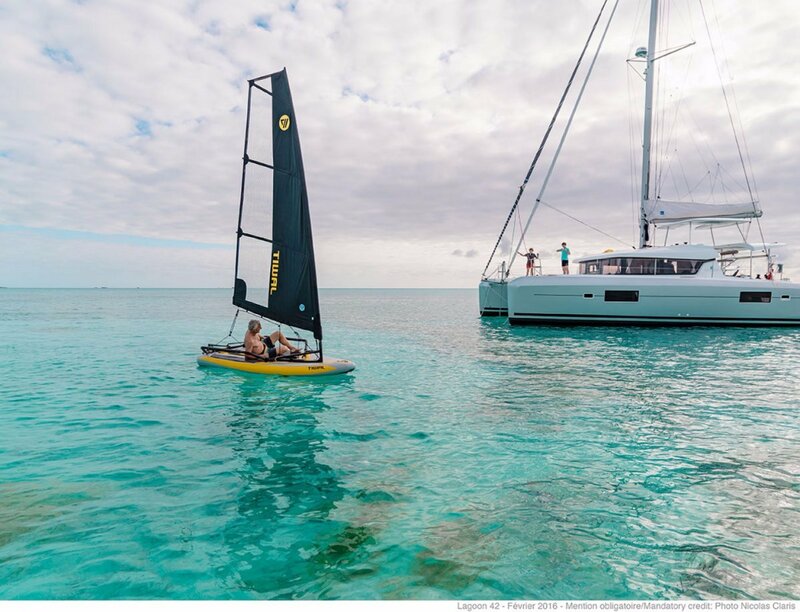 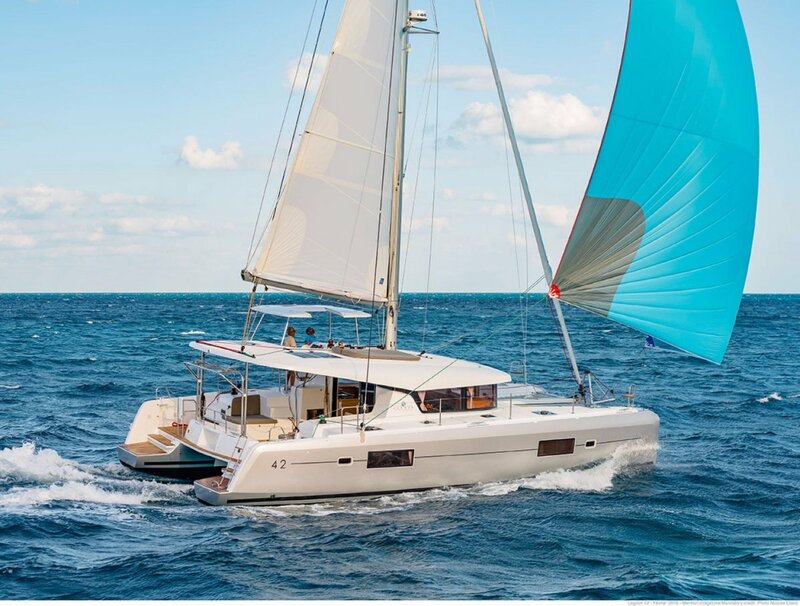 The self-tacking headsail and the innovative layout ensure easy handling even when you're sailing short handed. 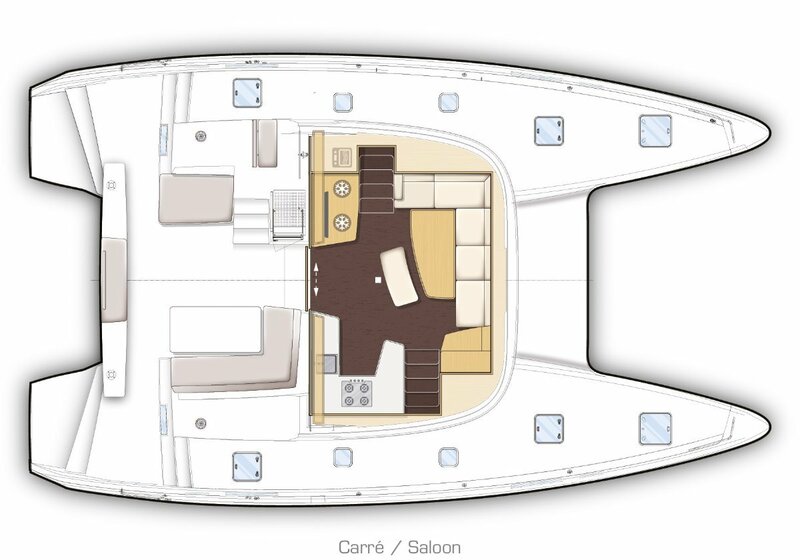 There are just 2 steps up to enter from the stern and an entirely flat surface forward into the saloon for seamless indoor-outdoor living. 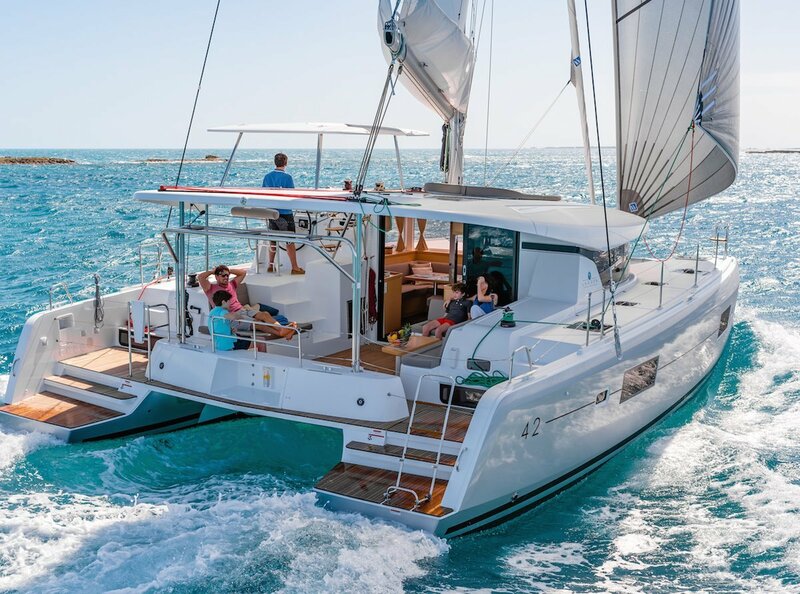 * closure panel for helm station safety when under you're way. 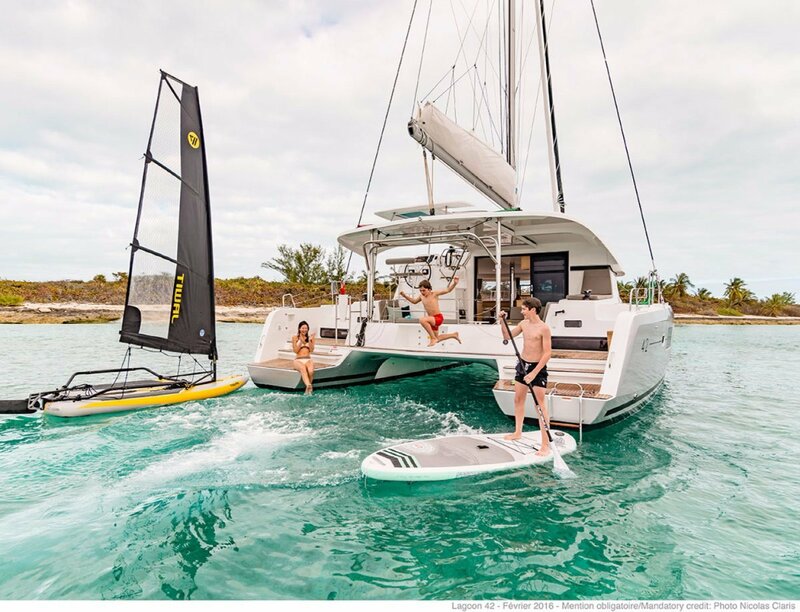 *mainsail broader near the head, taking advantage of less turbulent wind for a real improvement in performance *re-centring of the weight, which greatly reduces pitching. 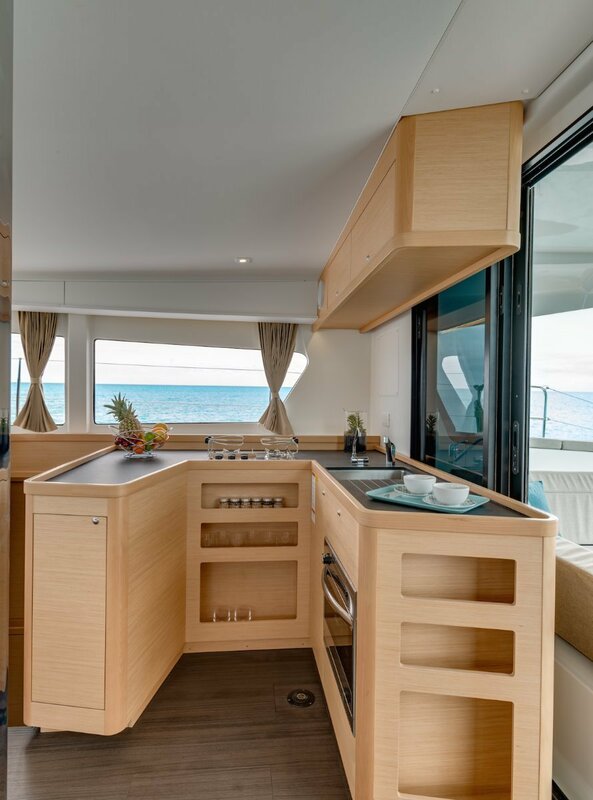 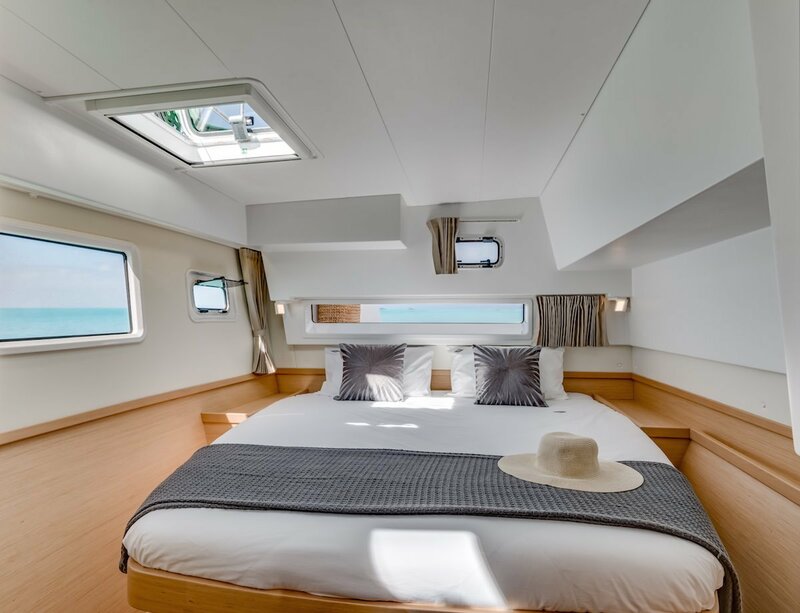 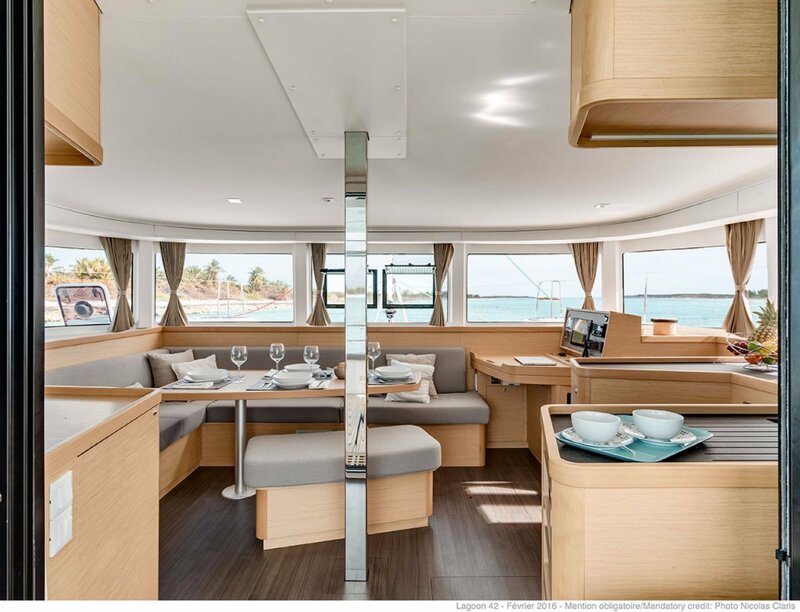 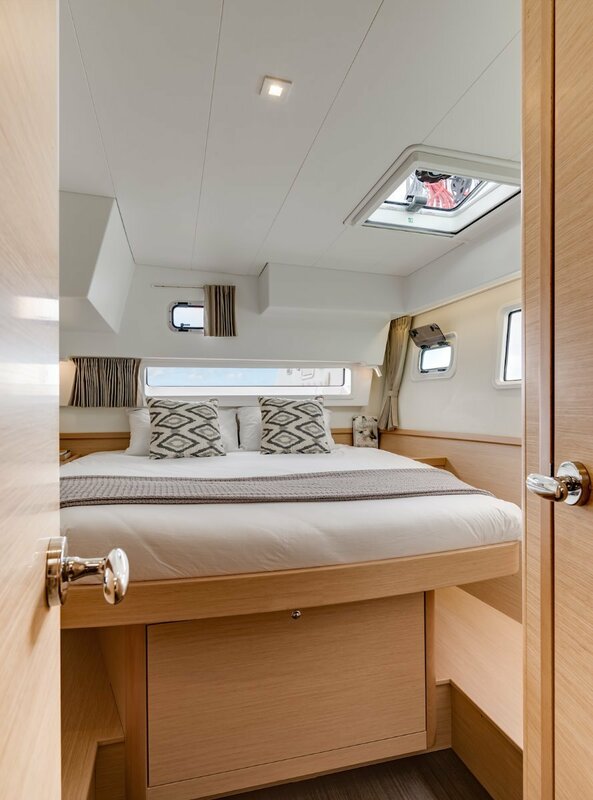 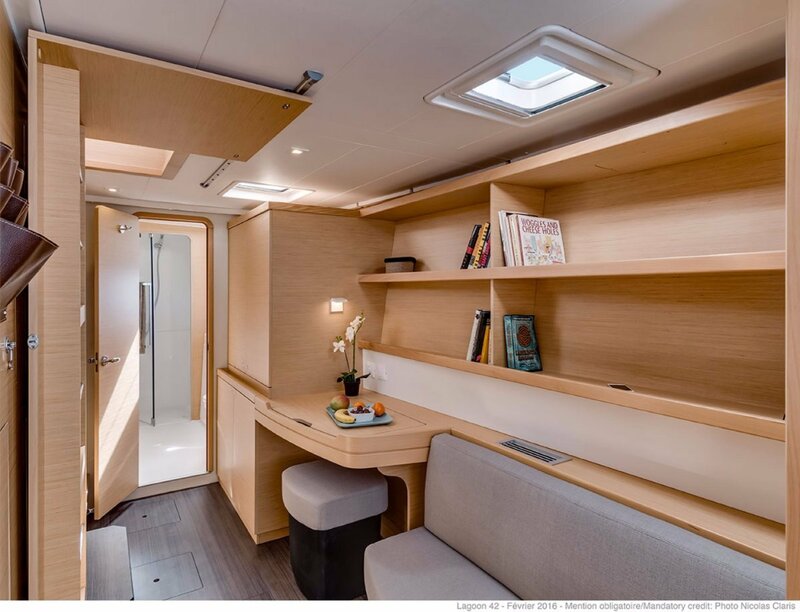 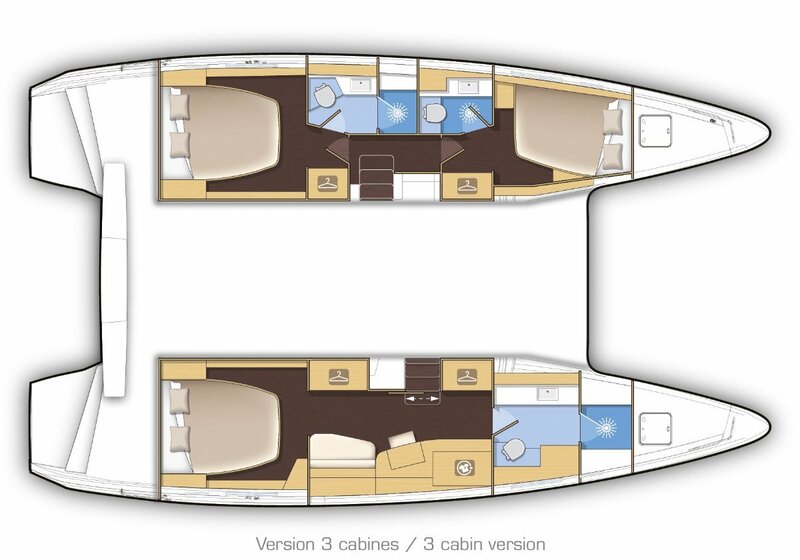 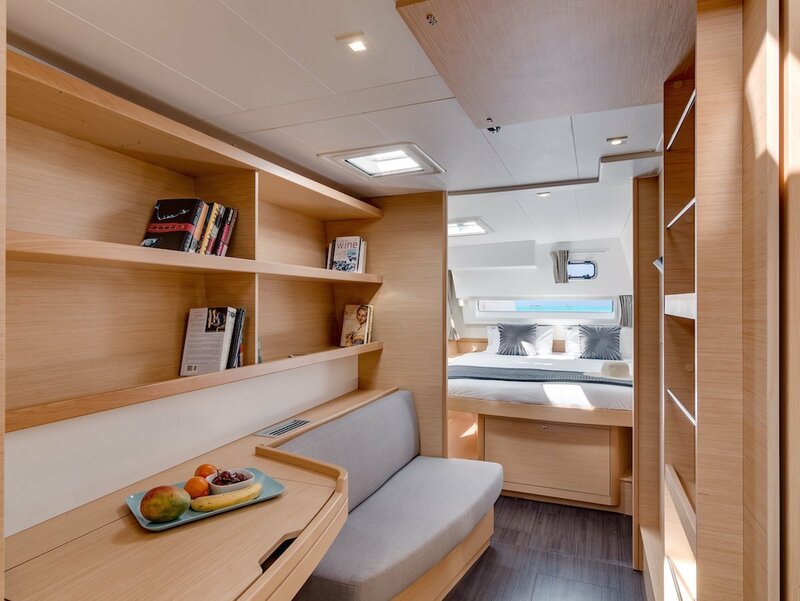 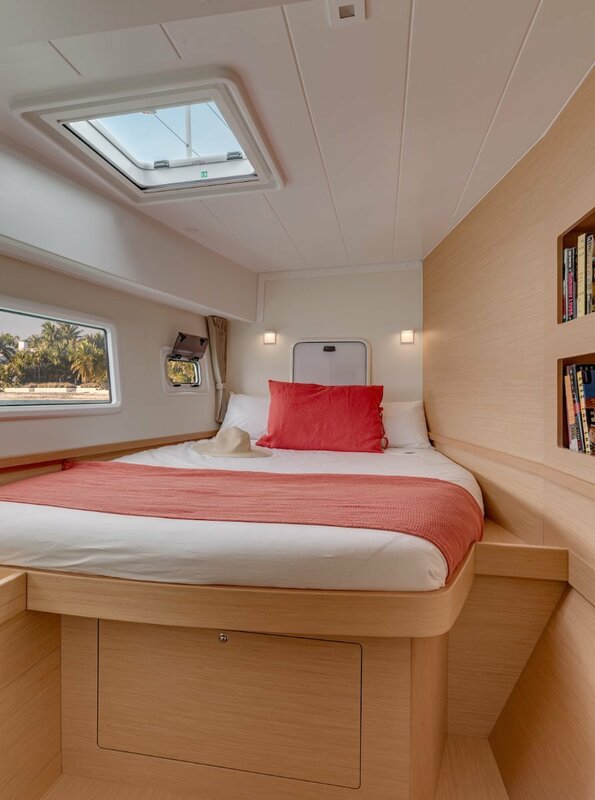 *U-shaped galley, fully fitted with broad work surfaces and extensive storage space, is oriented towards the external cockpit. 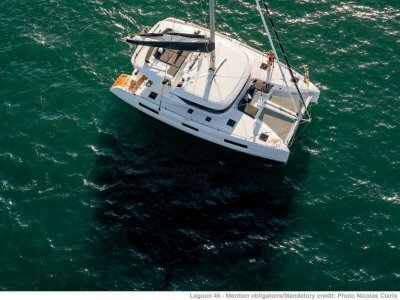 *central beam housing the forestay fitting, the anchor davit and the code 0 sprit pole.